Without Debbie Friedman, there would be no Shul Band. 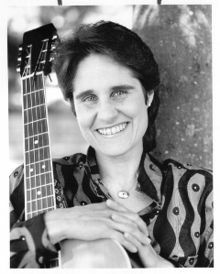 We have rarely ever played her music, but that doesn't matter: she set up the musical ecosystem for a new liturgical music in Reform Judaism, making possible the idea of a non-traditional musical service like the one we perform. If Nusoch was the liturgical sound of European Jewry, what Debbie Friedman created is the necessary development of an indigenous American Jewish liturgical sound, one that invites everybody to participate. That is the essence of the Shul Band. The debt we owe her is incalculable. I wish we could have performed our version of L'Chi Lach at her funeral. Please visit debbiefriedman.com for more information.